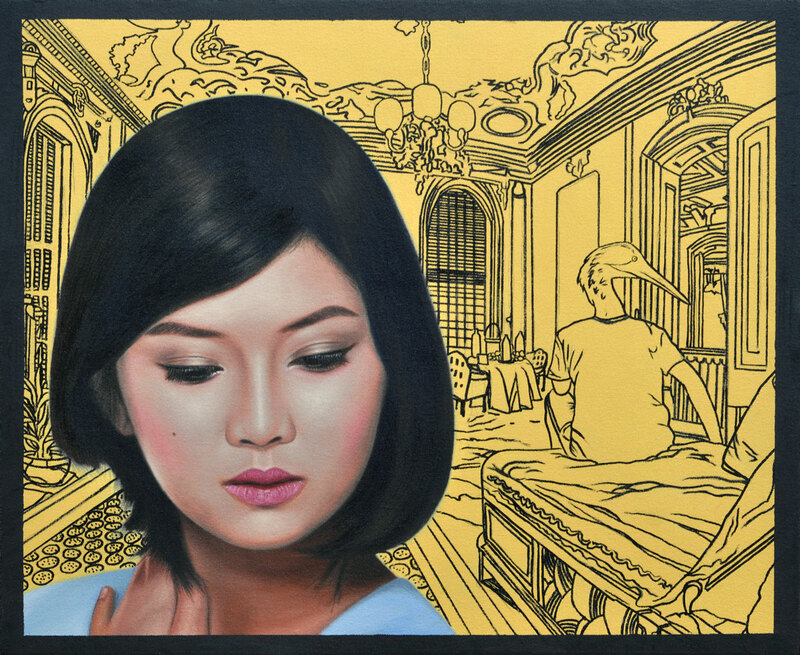 In his first one-man exhibit, titled The Reality of Dreams, Ross Jaylo explores two opposing ideas, realistic and artistic expression, in one canvas. To Jaylo, it is a microcosm of the world we live in, which is “not just all reality.” Creativity, imagination, and dreams are necessary to keep life interesting. This romantic view drove Jaylo to create four new works in oil on canvas. In love, as in art, there are no specific, rigid rules. Jaylo works under this spirit of letting emotions flow freely in his pieces while integrating line art to depict fine details. One work tackles the role of fate in allowing two people to meet, while another depicts a scene in which two people haven’t met yet. 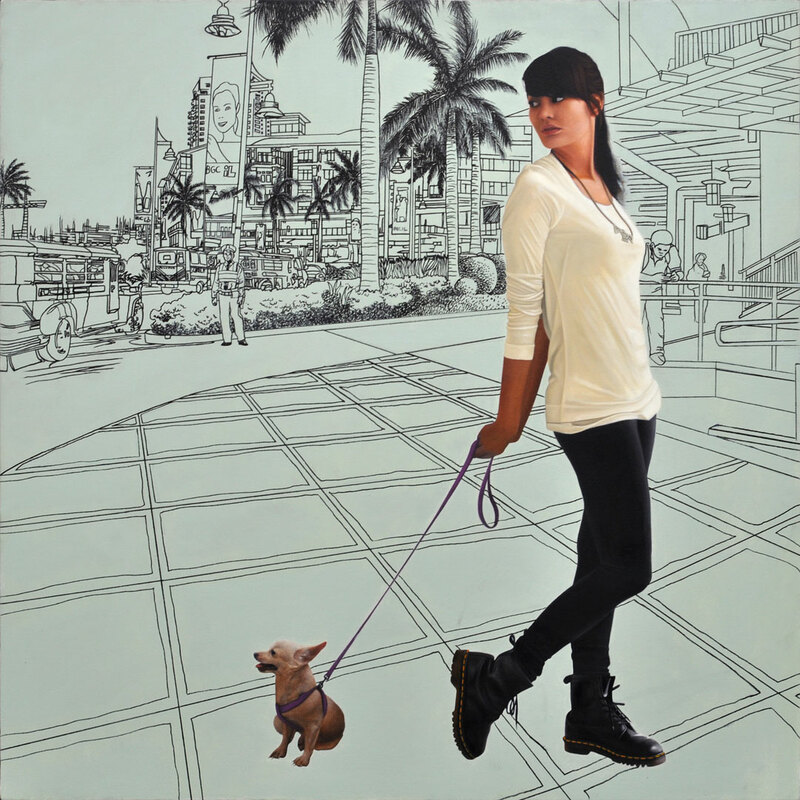 At this time, he enjoys exploring themes and concepts that characterize his youth. Introduced to art by his father, artist Jon Jaylo, Ross has exhibited early interest in the field, from drawing to making stories out of his drawings. 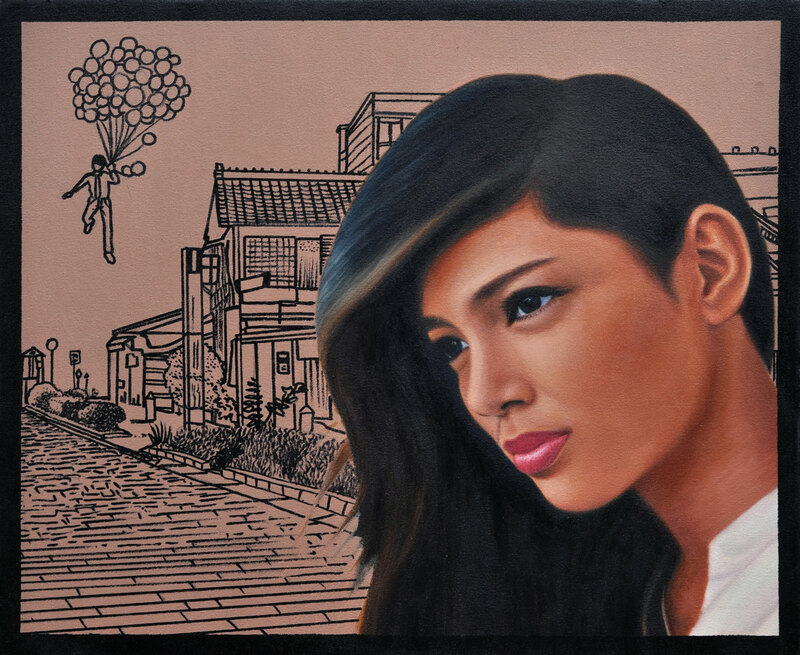 Then in 2006, when he became a grand prize winner at Cocolife’s “Colors of Life” Visual Arts Competition for students, he realized he wanted to pursue painting seriously. Such determination has not gone unnoticed, as the 2nd year animation student at College of St. Benilde has already been given the opportunity to mount his own exhibit. 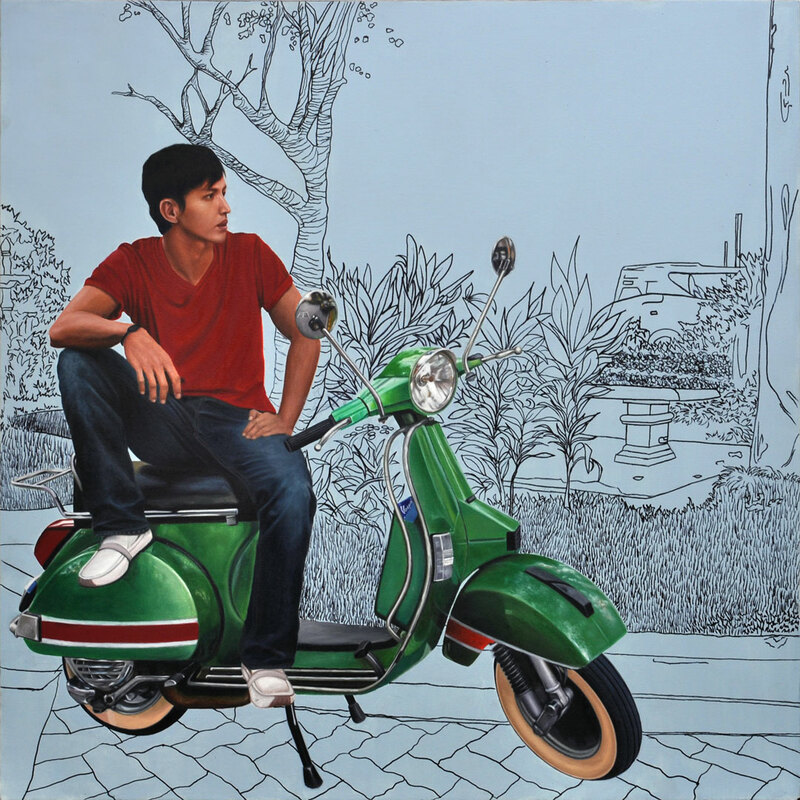 Painting for four up to 16 hours a day, he says he is still in the process of refining his style and learning from different sources, ranging from his father to other artists and other fields of creative expression.